Austin Rogers is on a "Jeopardy!" winning streak. 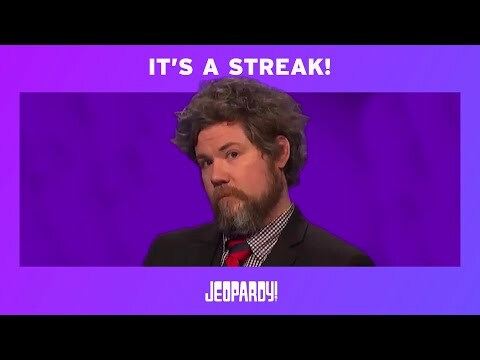 Video Credit: Jeopardy! The answer: This Westchester native has become the latest "Jeopardy!" contestant to win over America. The question: Who is Austin Rogers? Rogers, who lived in Westchester when his dad worked as a park ranger at Ward Pound Ridge Reservation is on a six-game winning streak, having won $257,000. The bartender has also become a viral sensation with his antics on the show. He does funny poses when introduced at the beginning of each episode and makes gestures when he answers questions correctly. Social media has also been a fan of his suits, with people saying they look straight out of a Wes Anderson movie. "He's got hair, he's got chutzpah and broad-based knowledge," host Alex Trebek said on the show. While at Ward Pound Ridge, Rogers, who attended Fox Lane High School, taught rock climbing and nature camp. Rogers is known for his dislike of the band Eagles, wagering lots of money on Daily Doubles and his love of bunnies. To view Rogers' profile, click here .